We are born to be creators and in every day and in every moment of our lives, we are creating, either consciously or unconsciouly. Conscious creativity is the place where we can begin to tune into the messages coming through us, to ask questions how to get to where we want to be and then act on what we hear. Intuitive art making is a playground where you can spark a conversation with the guidance you are receiving in a common ground language: marks, color, movement, symbol, texture and imagery. Intuitive art making opens you up to your internal visual field, it creates new pathways of accessing wisdom that wants to come through you. Playing with the visual format of intuitive art creates a space for you to express your experience through metaphor and symbol, which is the language of soul and spirit. Your art, your creations, become living beings you can communicate with for continued wisdom and healing. 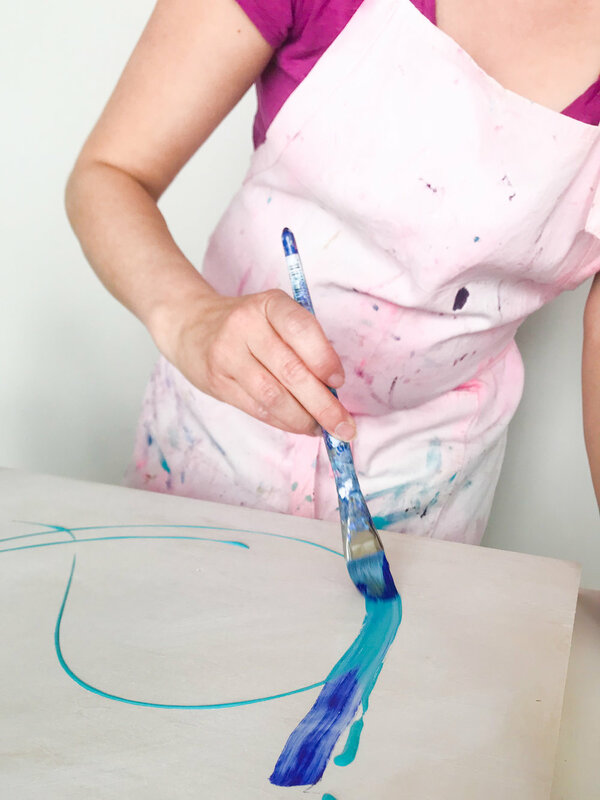 When you begin to access and experience your soul’s guidance + messages through intuitive art making, you begin to trust in your ability to create consciously. Utilizing journey and painting can help you to further understand the messages and meanings of your journey experience and can help manifest what’s coming through you into physical form. In today’s bonus lesson, we’'ll be creating visionary art together based on the Inner garden journey experience. We invite you to gather a few art supplies for the session: colored pencils, watercolor paint, acrylics---and some paper and get ready to have fun exploring your own unique creative magic! After the journey, you will capture your journey through image and symbols. Do your best to capture what you saw, heard, felt, tasted, touched through color, shapes, symbols, texture. Explore the aspects of the experience that want to be expressed: Move around the paper, make marks, experiment with color. Note that the image does not have to be “of” something, nor does it have to be cohesive. You are aiming to capture the essence of the experience. Stay in the mystic, magic realm of symbol and expression. and we’ll share how tapping into your creative magic can help you to actively create the life you want.